The robot moves on the magnetic tape, and the robot&apos;s position is detected by a special magnetic field sensor. The magnetic belt is durable and resistant to damage and firmly adheres to the same floor , however, it can be damaged by, for example, a sudden braking fork truck. The advantage of magnetic tape is its resistance to contamination in the form of dust or oil. The guiding line can be completely invisible and the robot will continue infallibly. The characteristic points of the terrain are marked with special RFID tags. 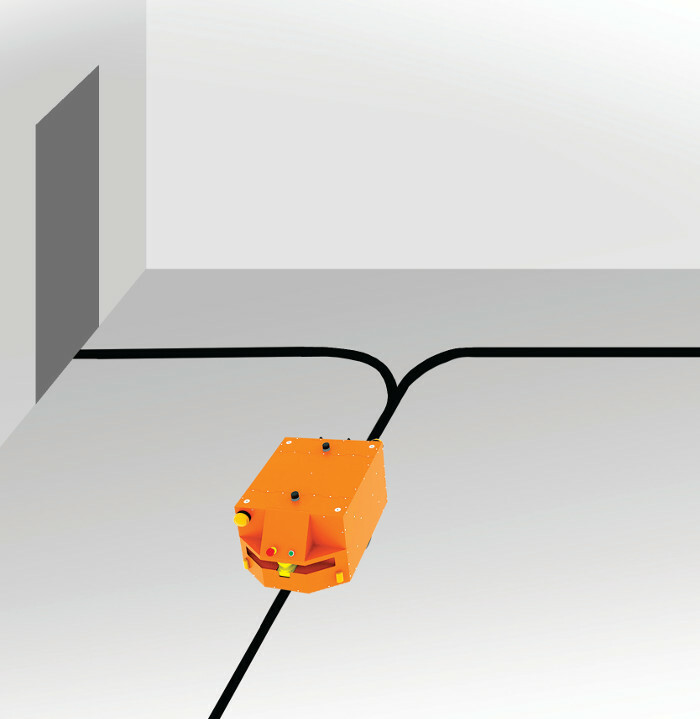 The robot moves along the colored line, and the robot&apos;s position is detected using a special PGV camera , which also has the ability to read the DataMatrix codes. The colored belt is not resistant to long-lasting rubbing, but it can also be used as a special protection belt. 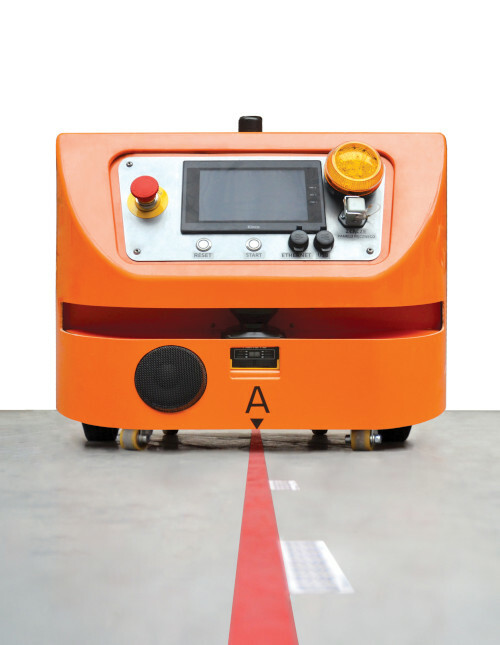 Alternatively, the line can be painted on the floor using paint resistant to abrasion. 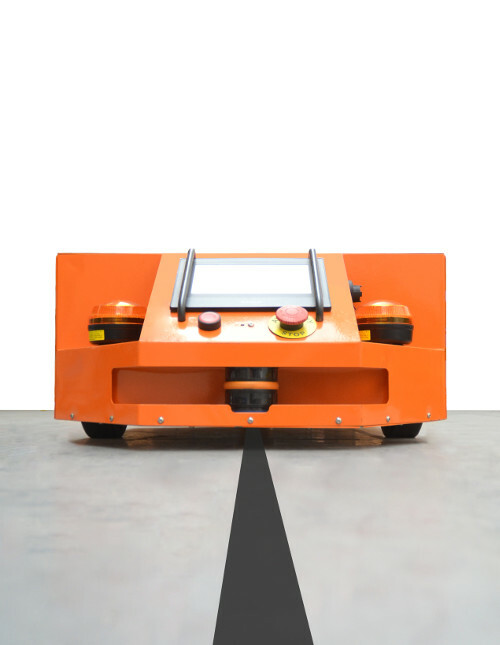 Navigation using a color line is a method that allows the robot to be guided precisely. The tape laid on the floor is very flexible and allows it to be exactly as expected. The characteristic points of the area are marked with the use of DataMatrix codes. The laser terrain mapping system (LMS) is a method that does not need any additional elements mounted in the environment. 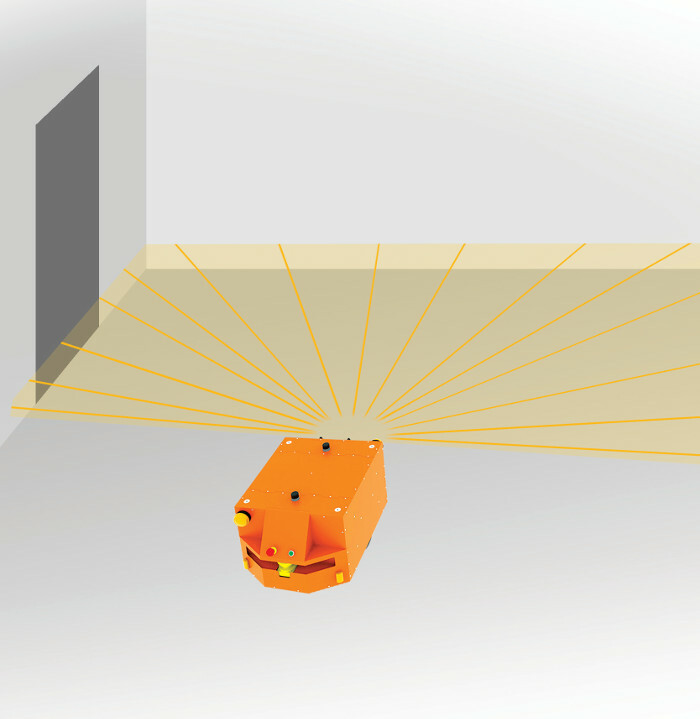 The environment is measured using a laser scanner, and the information collected is used to create a coordinate system in which the AGV robot moves on a virtual line. Natural objects such as walls, machines, barriers etc. are used for navigation. The accuracy of positioning depends on the environmental conditions and is +/- 1 cm. 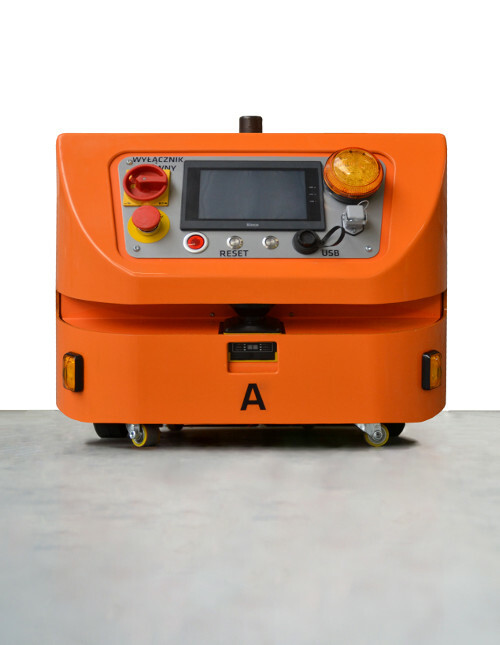 The mobile robot equipped with LMS navigation is fully autonomous and intelligent.